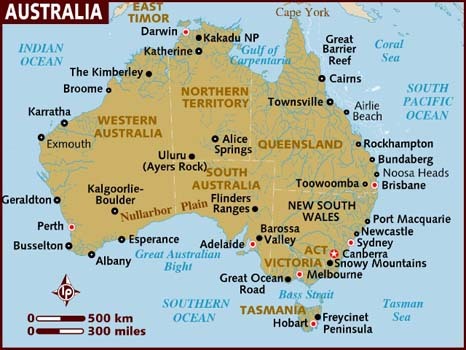 PERTH, Australia –A 24-year-old man has been accused of killing his wife, three toddlers and mother-in-law with a blunt instrument and knives at their suburban family home, where he remained for several days before turning himself in, Australian police said Monday. He is believed to have remained at the house for "some days" before heading north. A Facebook profile believed to be Mara Quinn's showed her cradling a newborn in her arms, with a man reported to be Harvey beside her, and stated that she was engaged in August 2014. A real estate listing showed a modest three-bedroom house and a standalone garage. "She was pretty unlucky in love before she met him," a friend told Fairfax Media. "So (when they got together) it was like 'yay, now she gets to start a family'." A neighbour earlier told the ABC he had returned from a holiday to "silence in the street". "We noticed that the house next door was pretty quiet, which was unusual," Richard Fairbrother, who lives next door to the family's house, said. "We could hear and see the kids playing in the backyard quite often." Other neighbours spoke of a shocked community that had been close, calm and peaceful. Mass killings are rare in Australia, but this appears to be the third such family tragedy to hit Western Australia state in recent months. In July a man allegedly killed his mother and two siblings. A grandfather shot dead his wife, daughter and her four children in murder-suicide in May. Harvey is expected to return to court on September 19.